Are you ready to create a LIVE MORE, WORK LESS lifestyle? 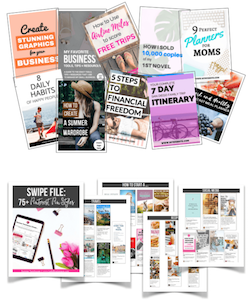 Get 10 ready-to-use Pinterest optimized Pin templates in Canva, PLUS a swipe-file of 75+ proven Pin styles for less than $20!. 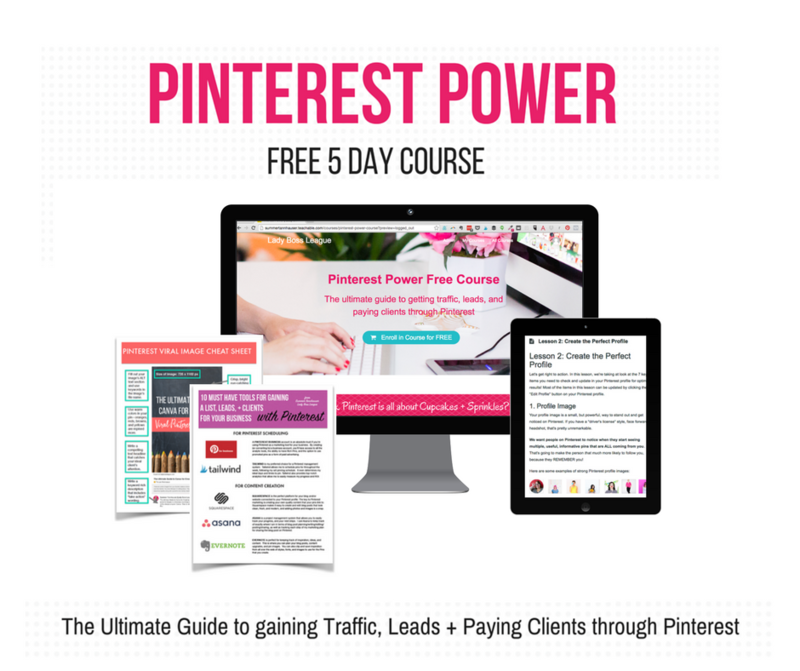 Designed to give you EVERYTHING you'll need to create a powerful Pinterest strategy that drives major traffic - no matter your business or blog. Think PInterest is all about cupcakes + sprinkles? Think again!!! Swipe my exact step-by-step plan, presented within FREE 5-Day course that will turn Pinterest into the most powerful traffic generating, email list building, and sales producing system that your business has ever known.